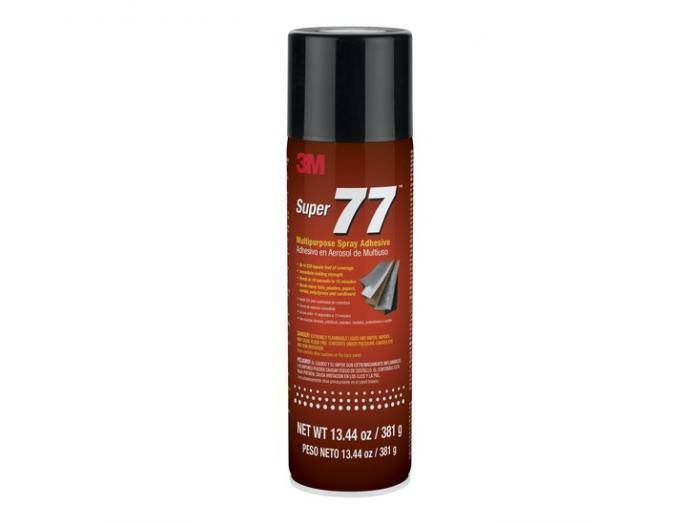 3M Super 77 clear spray adhesive with a 30 min cure time. Delivers great performance with a shear strength of 300 psi. Maximum operating temperature is +150 F. Perfect for automotive, bonding, dry layup, drywall, gripping, hvac repair, infusion molding, marine, packaging, tacking, upholstery and woodworking applications.